Can any Michigan governor candidate fix the roads? Michigan governor candidates’ road proposals generally fall into two camps: To raise taxes, or not to raise taxes. This past winter, chunks of concrete flew through car windshields on a major Detroit-area freeway. Last year, a pothole opened up on an Interstate 75 overpass in Bay County and exposed the freeway beneath it, forcing the bridge to close until it could be fixed. In recent years, infrastructure has become a top priority in polls of state residents, suggesting that Michigan’s crumbling roads may be a key issue motivating voters in this fall’s statewide election for governor and other elected offices. Candidates for governor are taking notice. $4 billion question: How to pay for infrastructure fixes? In the weeks leading up to the Aug. 7 primary, some have released detailed plans about how they would fix Michigan’s failing roads and bridges or, at the least, offered their philosophies on taxes and road funding that would inform their strategies as governor. Democrats Abdul El-Sayed, a former health director in Detroit, and Gretchen Whitmer, a former state Senate Minority Leader, have proposed creating a statewide infrastructure bank that could offer loans to help pay for projects. Shri Thanedar, an Ann Arbor businessman also seeking the Democratic nomination, has proposed issuing a $1 billion bond to pay for infrastructure repairs. Libertarian Party candidates Bill Gelineau and John Tatar have not provided detailed plans to fix Michigan’s road infrastructure. Both, however, favor less government spending and indicate they would use existing funds to make more money available for road improvements. The problem has been defined: Michigan has underinvested in its infrastructure for years. A nonpartisan commission appointed by Republican Gov. Rick Snyder in 2016 to study the state of Michigan’s infrastructure released a report of its findings, including a price tag of up to $4 billion annually over 20 years to maintain the state’s existing roads, water, broadband internet and energy transmission systems. The commission estimated Michigan needs to spend about $2.6 billion more per year for its roads, bridges and transportation than is currently being spent. Michigan is among the bottom of states when it comes to the condition of its infrastructure. The American Society of Civil Engineers’ Michigan section gave the state a D+ grade this year, only slightly better than the D grade it earned on the last ranking in 2009. “It’s one of the first times in my career that (infrastructure) has been a consistent drumbeat … beyond jobs, economy, education — those normal No. 1 and No. 2 spots,” said Mike Nystrom, executive vice president of the Michigan Transportation and Infrastructure Association, which represents road builders. Most states fund roads with, in effect, a pay-as-you-go system using revenue from gas taxes and other sources, said Joung Lee, policy director for the American Association of State Highway and Transportation Officials, which represents state transportation departments. 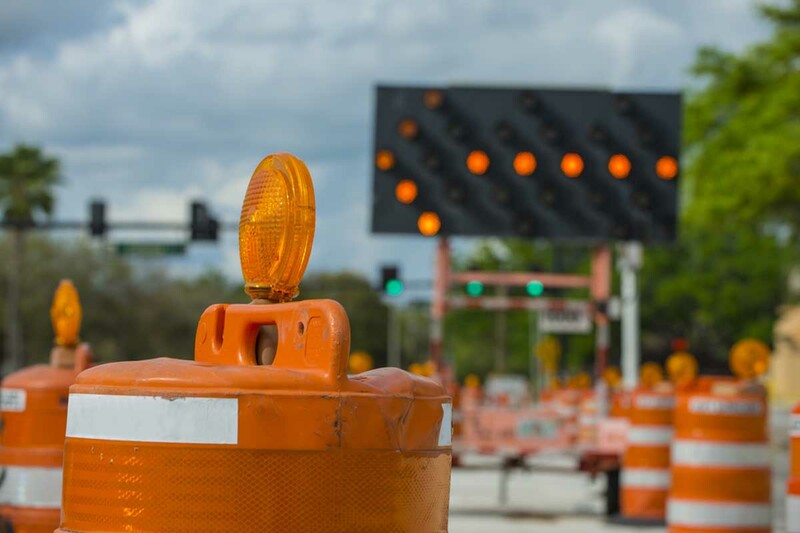 Many states issue bonds for road work, which can create a funding stream for big-ticket construction projects while extending the payments over time and taking advantage of low interest rates, Lee said. Infrastructure banks, by contrast, typically are used to convert state dollars into loans for local governments or other entities wanting to work on smaller projects. There are downsides to both models, he said. Bonds increase a state’s debt, while projects financed through infrastructure banks often are smaller and don’t generate enough revenue on their own to help a municipality repay the loan to the infrastructure bank. Nystrom, of the road builders group, said he would favor raising Michigan’s sales tax from 6 percent to 7 percent, which he estimates would generate roughly $1.4 billion, and dedicating the revenue solely to infrastructure. No candidate for governor has proposed raising the sales tax; Whitmer and El-Sayed propose increased road user fees, while Thanedar has proposed moving to a graduated income tax system. Among Republicans, Schuette, Colbeck and Hines have explicitly called for rolling back or eliminating the state’s income tax. A sales tax increase was part of a complicated 2015 ballot proposal to raise money for roads, which 80 percent of voters rejected. Nystrom said any future attempt to raise the sales tax should not include other tax requests or changes; one of the criticisms of the 2015 initiative was that it was too complicated with “wish-list” items. No candidate for governor has addressed how they would close the entire roads and infrastructure funding gaps identified by Snyder’s infrastructure commission. Republicans, who generally favor using existing general fund dollars to improve roads without imposing new taxes, have not said what, if any, departments or programs in the state budget would have to be cut to free up additional dollars for roads. Some say they would use surplus state funds or shave inefficient practices within the Michigan Department of Transportation. Democrats generally provide more detail than their GOP counterparts on how to fix Michigan’s roads. They have said they support raising user fees; Thanedar has proposed a graduated income tax system. But they have not detailed exactly what fees would be increased, nor how much an average taxpayer might be impacted. Craig Thiel, research director at the nonpartisan Citizens Research Council of Michigan, said the candidates’ ideas fall into two general camps: New funding and no new funding. Candidates who want to raise revenue can do so, but raising taxes will require them “to jump the political hurdle to do that,” Thiel said. Likewise, candidates who want to redirect existing funds will have to battle “all of the interests that rely on the general fund budget,” including higher education, local governments and state government programs. Thiel said the candidates aren’t talking about one crucial factor in any road-funding debate: whether the formula used to distribute road dollars among state, county and city road agencies should be updated to reflect current needs. “That discussion needs to be had,” he said. If I recall correctly, a recent poll showed that a slight majority of Michigan voters want our roads repaired but don't want to pay any more in taxes for the desired and needed improvements. This detachment from reality shows that there is little hope in the immediate future of the situation being resolved. Sadly, too many Michigan citizens have come to believe that there is 'free lunch' out there and they don't have to pay for infrastructure and services. The constant drumbeat of 'wasteful government spending' has been drilled into their DNA over the last 30-40 years. I see no mention of Michigan's Green Party candidate for Governor, Jennifer Kurland! Your magazine is not very accurate or viable for truthful info is it? Too bad you did not ask her how she plans to fix the infrastructure in Michigan! Hi Betty: These roundups are intended to educate voters on the primary. Since the Green Party and other third parties don't have contested primaries, their views weren't included but will be revisted in the general election.